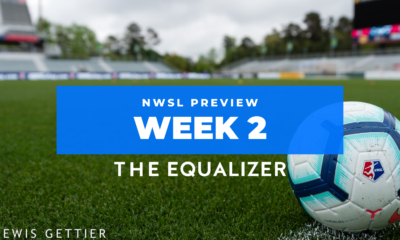 While they technically have never represented their current team in the NWSL playoffs, the North Carolina Courage looked like seasoned pros against the Chicago Red Stars in the second NWSL semi-final on Sunday, breaking a close battle with a late goal by Denise O’Sullivan to come out on top 1-0. Both teams started the game off a bit cagey, playing tentative balls around the boxes and sending in shots from distance. 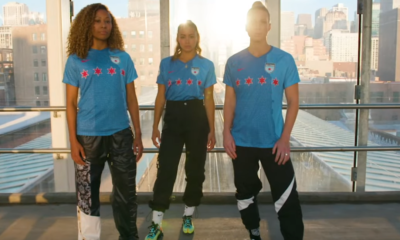 Chicago in particular looked sluggish, and the largest dramatics of the onset of the match came from NC’s Debinha having to leave the game in the 10th minute with a sprained elbow, and she was replaced by Kristen Hamilton. As the game continued on, it looked like that early sub was going to come back to haunt the Courage as extra time looked likely. However, the Courage succeeded in pushing the Red Stars back for much of the first half. 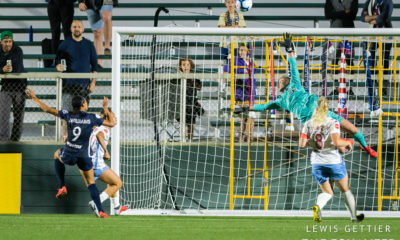 It looked like they might snag an opening goal right before the halftime whistle, when a short corner was sent to the far post by Sam Mewis, and headed down by Abby Erceg, only to be saved on the goal-line by a last ditch clearance by Chicago center back Katie Naughton. 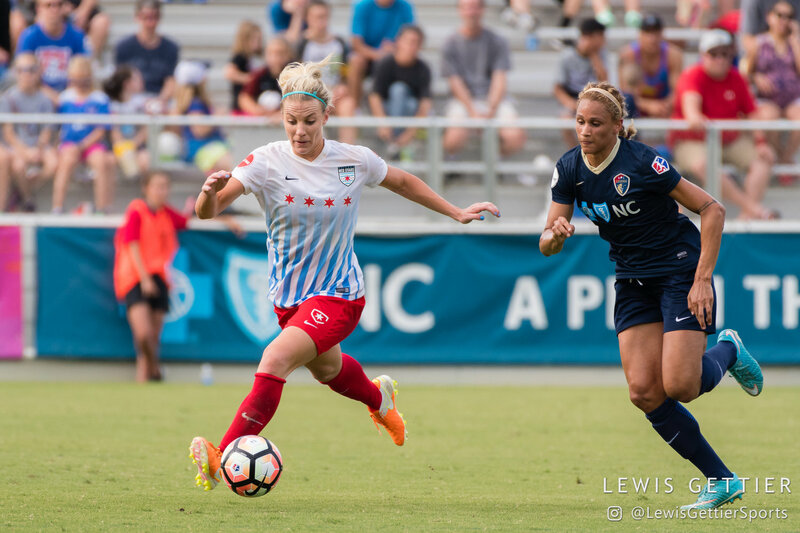 Though NC looked the stronger side, Chicago was bending and not breaking as the half ended scoreless. The second half started much like the end of the first, with Taylor Smith battling hard on the outside with Casey Short, and the Courage sending in a barrage of shots that were met by quick deflections by their Chicago counterparts. As it seemed like both teams were hurtling towards extra time, North Carolina made a key substitute in super-sub Jessica McDonald, who came in for Ashley Hatch in the 83rd minute, bringing fresh experienced support for a Courage team that looked like they just needed a little bit of luck in order to get the match finished in regulation. At the same time, it looked like Chicago was saving their subs just in case the match was extended, likely hoping to utilize the extra rest they got by sitting their starters in their last regular season match against Portland. 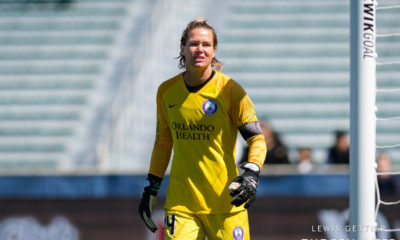 However, it was the North Carolina move that finally paid dividends when in the 90th minute, a corner kick sent in by Mewis was deflected out by McDonald to O’Sullivan, who sent a rocket into the box that found Julie Ertz awkwardly turning away (likely to avoid a late handball), who deflected the ball past Alyssa Naeher and into the back of the net. 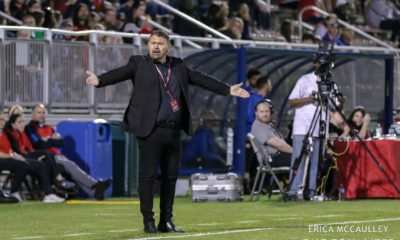 Chicago sent everything they had forward for the final few minutes of stoppage time, but the goal ended up being all the Courage needed, as they’ll meet the Portland Thorns in Orlando next weekend for the 2017 NWSL final.